Most of the regional food varieties of Erzincan are pastries. Esgili, kesme soup (flour soup) and meat and rice wrapped in vine leaves are the major meal types. Also pasta with cheese parsley filling (su boregi) and especially kete are consumed widely. In Van, murtuga (for breakfast), cacık (for breakfast), ilitme, eksili, senseger, and Van grassy cheese are the most famous foods of the region. Especially the grassy cheese is very delicious and famous. Van Lake fish (grey mullet) should be tasted by the visitors. The caviar of this fish is very famous for its taste. If you find the chance to have breakfast in Van, the variety of food will amaze you. Pasta with cheese parsley filling (su boregi), sour stuffed vegetables, rice, yoghurt and mint soup, stuffed turnip, egg pilaf, oven baked shredded pastry with pistachio filling in thick syrup (kadayıf dolması) could be counted among the most preferred traditional meals of Erzurum. Zerefet (Babiko), Sirekurt, Sirepati, Gulik Meal, Mushroom Meal, Dogme Soup, Dogme Pilaf, Gulik Soup, Mulberry Desert, Noah's pudding, Beetroot desert, oven baked pumpkin in syrup, Heside (watered Mulberry molasses, flour and butter) can be mentioned as samples for regional meals of Tunceli which is a province having a highly rich meal culture. Beside the famous sheep cheese and honey, the province of Kars own rich food and beverage varieties. Among the original local meals, umac halvah, stuffed apple, horre (flour) soup, evelik meal cooked from a plant called evelik, bread meal cooked by pouring hot butter and yogurt over bread, pisi, kuymak, hengel (meat pastry), hasıl cooked from wheat, bozbas, piti which is a soup cooked with meat, pilaf cooked with sultani grape and Kars pastry could be counted. The variety of food in Malatya is rich, with the main dish of a meal composing of meat cooked with cracked wheat, with around 70 different varieties of these rissoles. 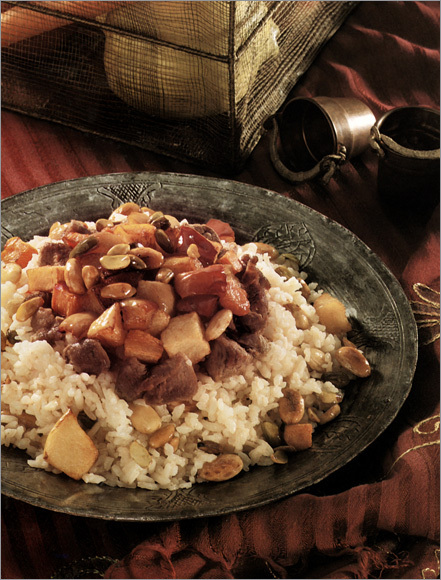 Bulgur is also cooked with the leaves of cherries, quince, grapes and mulberries. The local specialties such as kagit kebap (paper covered kebab), fist sized cracked wheat filled with minced meat (icli kofte) and numerous apricot sweets, should be tasted when you visit Malatya. The apricot is the local produce for which Malatya is famous throughout Turkey. 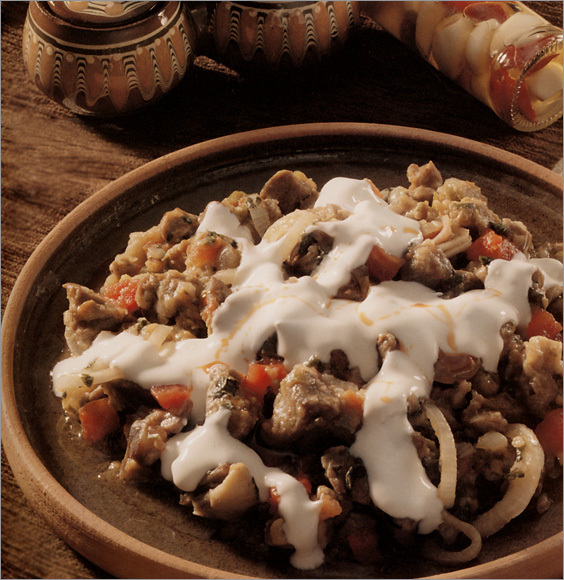 A meal named Bozbas that made from lamb shin is famous in Igdır. You should taste the mulberry molasses and Bingol honey produced in the region. You can eat local food varieties at the Ata park and Soguk Cesme localities. 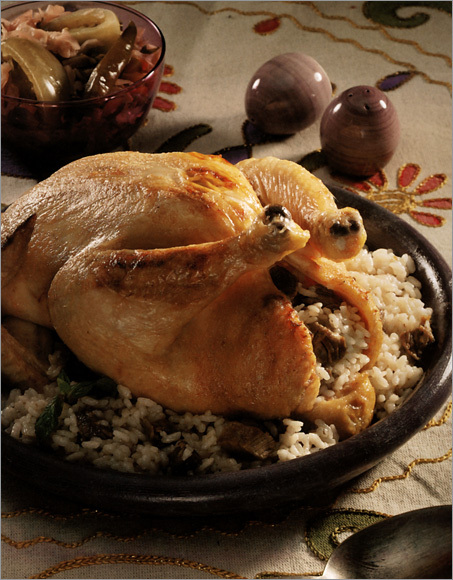 Elazıg has lots of original food varieties which are designated by the name of the city. Kellecos, isgene, Harput meat balls, tas ekmegi (hard bread), bread with cheese (peynir ekmek), fodula, gomme, ufalama, sogurtme, ıskın, pirpirim, hesude, gaygana, pestilli yumurta, dolangel, kalbur hurması, lip shaped sweet pastry (dilber dudagı) could be counted among the food and desert varieties peculiar to Elazıg. Yellow cheese and honey of Ardahan is very famous all over Turkey. 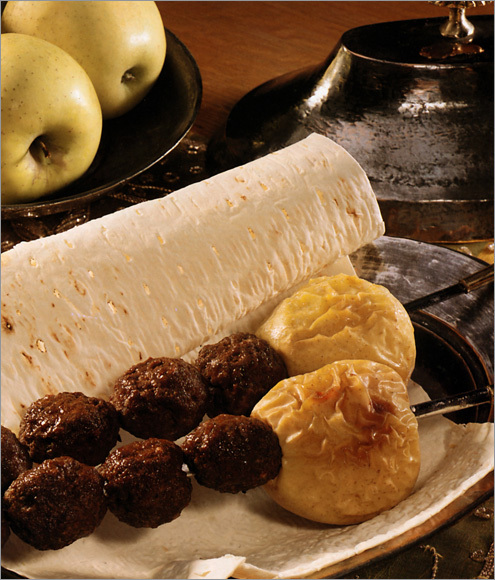 Stuffed apple, evelik meal, pisi, bozbas, kuymak are among the regional meals of the province. Diced lamb fried on iron plate is the famous meal of Agrı. Among the region specific meals, abdigor meat ball, Hengel, hasıl, home made fettuccini, kete, bisi, erdek, cracked wheat pilaf, yalancı meat ball, bread meal, lalanga, halise, ciris ketesi, murtuga, agızyakan and deveci soup can be counted. 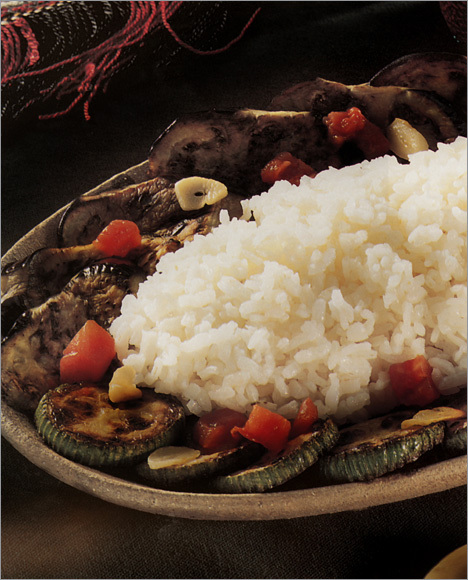 The most famous local meal of the Bitlis Province is Buryan kebab. This kebab is cooked with the meat of the goat and is only available in months of June, July and August. If you can spare time from sleep, you can eat the local meal "avsor" at 5.00 o'clock in the morning in these months. 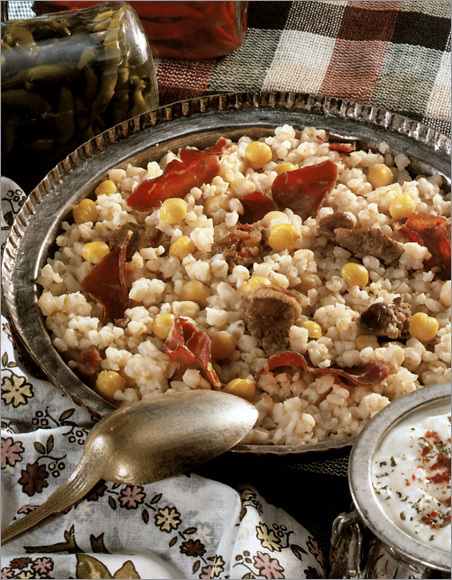 Gulul, which is a kind of solid ayran soup as a mixture of rice, millet and bulgur, and kepaye, which is a kind of stuffed tummy and gut, can be considered as regional meals of Hakkari.